Cut baked potatoes in half lengthwise and carefully scoop out insides, reserving the skins. In a bowl mash the potato, then add butter, sour cream, onion and pepper. Beat until smooth. 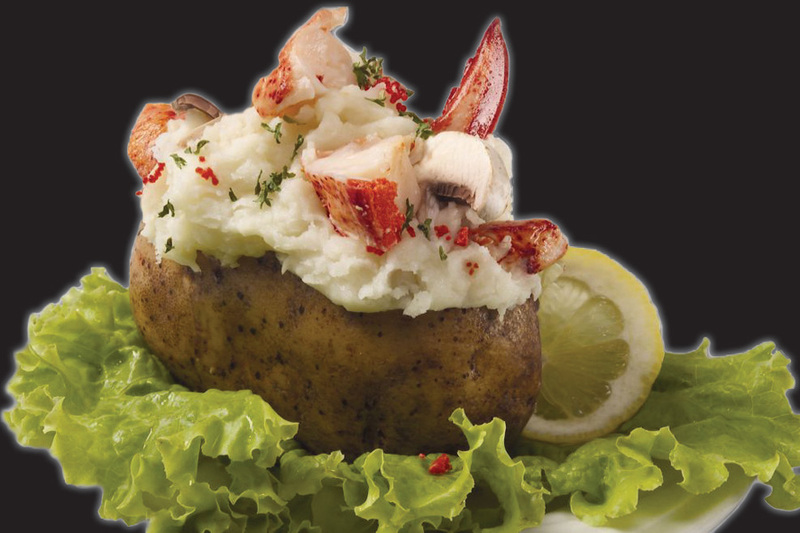 Fold in lobster meat and mushrooms, and place mixture back in to the 12 potato skin halves. Sprinkle with grated cheese and place on a baking sheet. Bake 15-20 minutes, or until potatoes are heated through.